Blue Point Oysters and Sushi Bar restaurant is conveniently located in the heart of downtown Valparaiso. Enjoy a fine dining seafood experience or a quick sushi lunch. Our fish is shipped daily and we proudly serve NWI’s largest fresh oyster selection. We specialize in seafood cuisine while offering perfectly executed steaks, chicken entrees and pasta dishes. 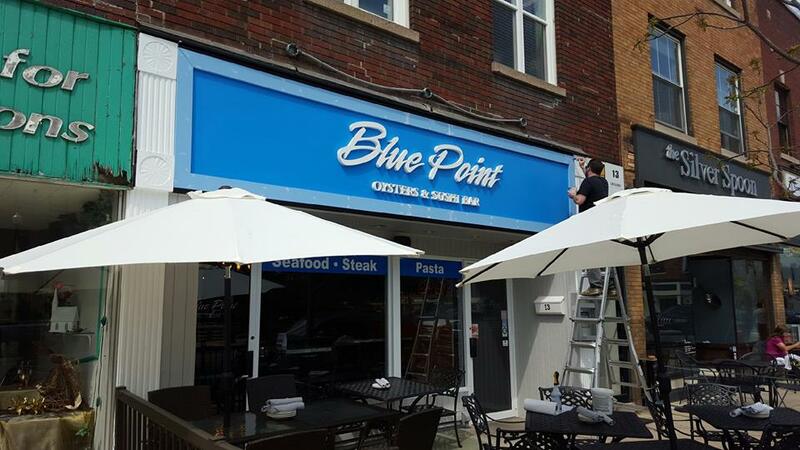 Chef Eddie is Blue Point’s executive chef and part owner who has many years of experience cooking for downtown Valpo.